The Brew Lounge: Happening at Yards. Beer. Party. Run. Drink. Run. Jam. Beer. Happening at Yards. Beer. Party. Run. Drink. Run. Jam. Beer. 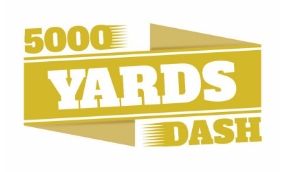 This isn't so much a press release as it is a forwarding of an e-mail I received since I'm signed up to run the 5000 Yards Dash on Sunday, October 14. I did it two years ago for the inaugural race when it was held on the flat and fast Delaware Avenue. With Yards Brewery now located on Spring Garden Street and the race course going through Northern Liberties, I'm expecting just a touch slower with the introduction of some slight inclines along the way. Nonetheless, I'm confident it will be another fun event, this time hopefully minus the Nor'easter swirling, pounding rains and 20+mph sustained winds. Here's the e-mail they sent. Great news. In the next two weeks, there are two big parties for you at the Brewery. 1. Thursday Night, August 9 - In case you have not heard, Yards has been named Best Local Brewery in Philadelphia Magazine’s Best of Philly® 2018. To celebrate, Yards is throwing a big, free party on Thursday at 6pm. First beer is on the house. 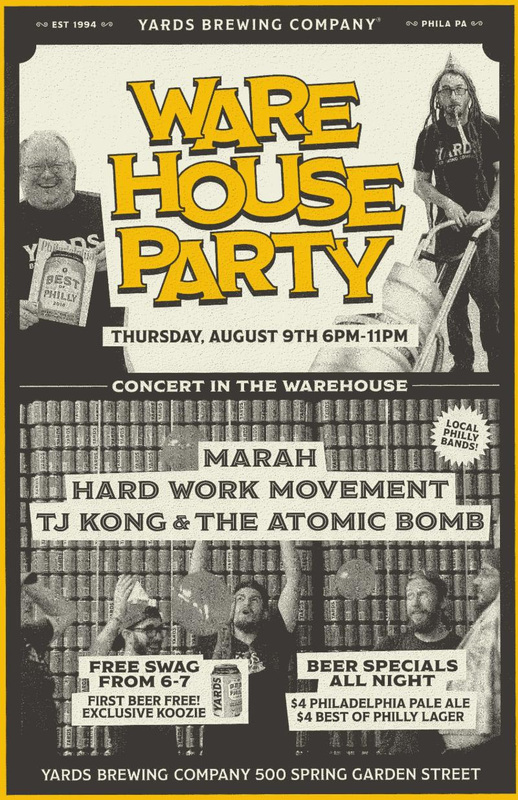 Enjoy drink specials, live music in the warehouse from TJ Kong and the Atomic Bomb, Hardwork Movement, and Marah, a limited edition lager on tap, and surprises throughout the night. 2. Save the date for the All City Summer Beer Run on August 16. (next week). Two of the best things about summer are getting outside to run and chilling over a beer with friends. So, we are teaming up again with Philly's running clubs to get together and celebrate this amazing running community. Best of all, $1 from every beer sold goes to Achilles! We cannot wait to see you in October. Sign up now before it is too late.